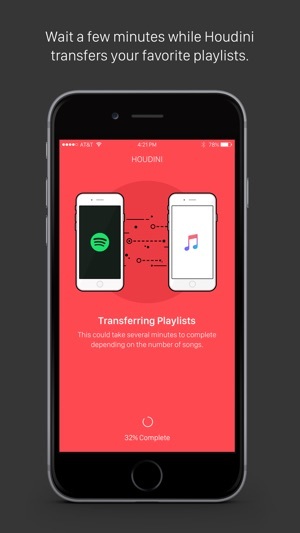 Magically transfer your playlists between streaming services using Houdini! We support transferring from Apple Music to Spotify or YouTube, and from Spotify to Apple Music or YouTube. • No longer feel shackled to a single streaming service. 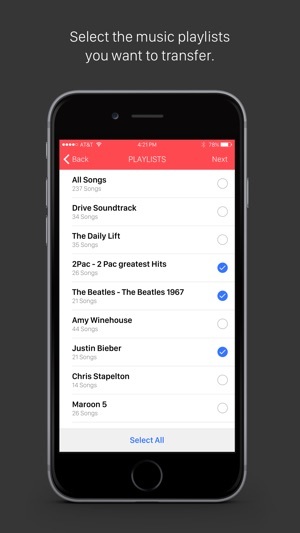 • Transfer all your playlists from one service to another within minutes. • Ever wanted YouTube music video playlists for your favorite Spotify jams? Make your playlists portable. • Houdini provides an exportable list of any songs unable to be matched. • Customer service chat included within the app. 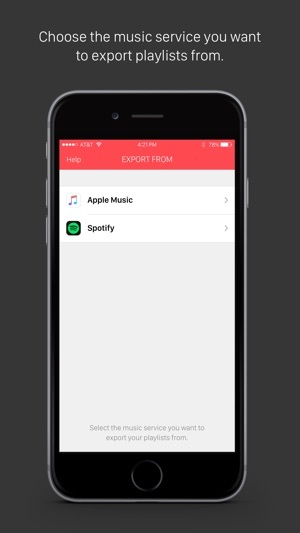 • An active subscription to Apple Music is required in order to transfer to or from Apple Music. • Transferring to YouTube will make your playlists available in YouTube, YouTube Music, and YouTube Red. We have finally fixed the Spotify issues that created empty playlists and showed playlists with 0 songs. Our apologies for the delay. Houdini is definitely miles ahead of the other music streaming transfer apps (namely Stamp). Other apps tend to not transfer up to 40% of the songs. It's rare that Houdini doesn't transfer or at least find a similar match. My only issue is that when the songs transfer, they don't transfer with the artwork I had on my previous subscription. It also tends to shuffle the list so that they are not in the same order as my original playlist. All that said, it's definitely not the end of the world, and this is easily the best one to choose. Hands down, the best transferring app out there. It’s just $3 compared to stamp which is $10 (which is honestly just oppressive, smh). ALSO, their UI is beautiful, it quickly and simply walks you through step by step. and, the few times they don’t get a song, they give you the option to export into your notes which is a game changer :D now i can go back and just manually search for those songs. keep up the great work! I've been wanting to make the move to Apple Music but didn't want to have to manually rebuild my playlists. I have a lot of them. This app did a great job helping me make the switch. The $3 fee was worth it for the hours or possibly days of time saved doing this manually. It only took about 10 minutes and I'm finished.